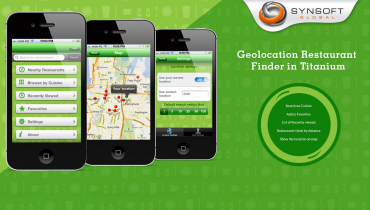 A geo-location based location finder functionality developed for Web as well as for iOS. 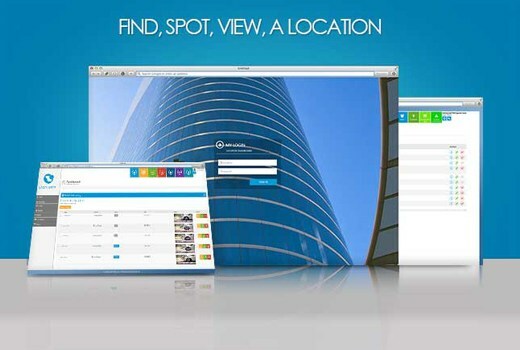 The Web Site is used to Setup Companies and their respective Locations. 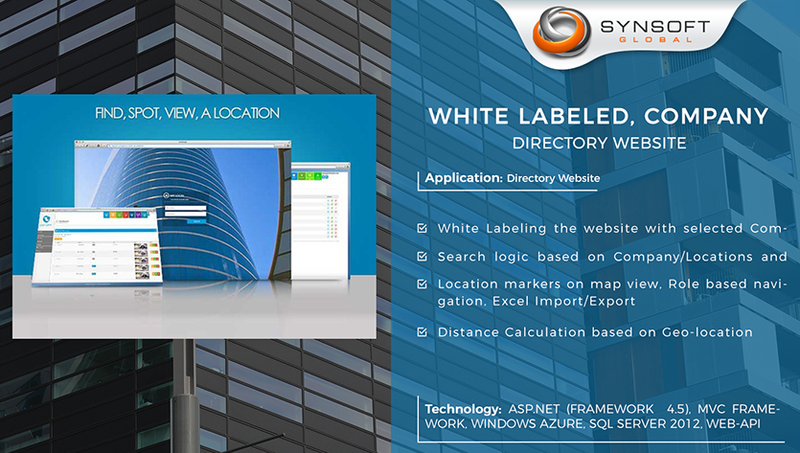 White labeling enables the company UI to override the site’s basic UI. So if a specific company user logs in, s/he will see the company logo and banner and thus feel as if it is the company’s own website. A complex search is enabled on every information page, so that user can search for the required information. Locations are shown with nearest first, and to do this we have accessed user’s current location from the browser using HTML5 Geolocation API. ASP.net Membership and Role provider has been used for Authentication and Authorization. Role-based privileges are given to users to restrict certain views from some users. 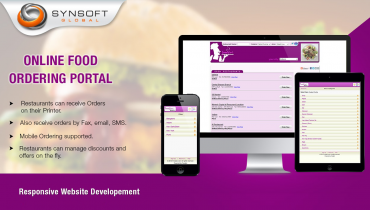 The Web Site is used to Setup Companies and their respective Locations. 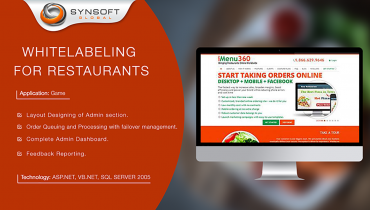 Each Company can have its own Company Administrators who maintain the company information and their Users. A Company contains basic company info, as well as a list of Company Locations, and each Location has a list of Contacts and Recommendations (Places Nearby). When a company user logs in, s/he will only see information related to that company, in a white-labeled site that seems to be the company’s own site. Besides the basic info, the user can also search/view the list of locations with addresses and maps, Contacts for each Location, and the Recommended Hotels, Attractions, etc around each Location. 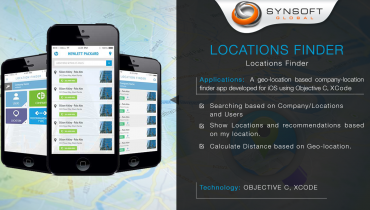 Locations list can be either imported to or exported from an excel sheet. A Super Admin manages the site and the app, and can create and manage companies and their users. Super Admin can search for Companies, Users and Company Locations, and can manage the basic site info like ‘Recommendation Types’ and ‘Location Contact Roles’. Super Admin can also use the Export/Import feature.